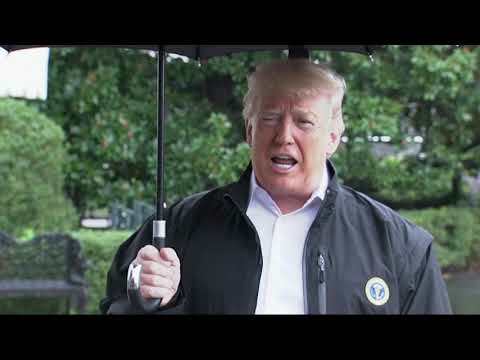 President Donald Trump is suggesting that “rogue killers” may be responsible for whatever happened to missing Washington Post columnist Jamal Khashoggi. Trump told reporters as he departed the White House en route to Florida Monday that he spoke by phone with Saudi Arabia’s King and that “The King firmly denied any knowledge” of the disappearance. Trump’s language was strikingly similar to the language he has used to describe Russian President Vladimir Putin’s denials of election meddling. Turkish officials say they fear a Saudi hit team killed Khashoggi, who has been missing nearly two weeks. President Donald Trump says he has spoken to the king of Saudi Arabia, who denies any knowledge of what happened to a Saudi journalist who visited the Saudi Consulate in Istanbul and then disappeared and is feared dead. Trump says he’s dispatching Secretary of State Mike Pompeo (pahm-PAY’-oh) to meet with the king of Saudi Arabia to try to find out what happened to missing journalist Jamal Khashoggi. Pompeo is expected to go to Riyadh and later visit Turkey. Turkish officials say they fear a Saudi hit team killed and dismembered the Washington Post contributor. Trump said Monday the Saudis told him they’re working closely with Turkey to find an answer. The White House is brushing aside threats by Saudi Arabia that it may economically retaliate for any U.S. punitive action imposed over the suspected murder of journalist Jamal Khashoggi, pledging a “swift, open, transparent investigation” into his disappearance. Two leading Republican senators said Congress stands ready to act, including a possible halt of military sales, if President Donald Trump doesn’t. White House economic adviser Larry Kudlow declined to speculate on what Trump might do after the president promised “severe punishment” in a “60 Minutes” interview, if the U.S. determines that Khashoggi was indeed killed inside the Saudi consulate in Istanbul. On Sunday, the oil-rich kingdom suggested retaliation if the U.S. were to impose strict measures.